Emergencies happen, but they are often easier if you are prepared. Here are a few situations you might encounter and how to handle them. Blizzard: I have been in a blizzard with guinea pigs. Remember Hurricane Sandy? We got hit hard where I live, only it was a blizzard, and one of the worst, if not the worst, storm I can remember. We lost power which meant we lost heat. I had a couple acorns from Sewing 4 A Cause and put my pigs in a much smaller cage than is a good idea -- under normal circumstances. I wanted them to use their body heat to keep warm, and it was easier to do so in a smaller area. I added blankets and pretty much made a burrow around them. Fire/Flood: Grab your pig(s) and get out. Because my cage is too big to carry, I have a storage tote immediately by the cage. It holds guinea pig supplies and food, but in an emergency, I could grab my pigs and put them in there and get out of the house. It serves two purposes, really, storage and organization and a way to transport more than one pig. (If you only have one pig, you could hold it. At one point I had four pigs and there was no way I could have carried all of them at once in an emergency so I implemented my storage tote plan. Heat wave: Try to keep your pigs at a reasonable temperature. Hopefully you haven't lost power and this can be done more easily. One idea is wrapping a frozen bottle of water in a towel and putting in their cage. If you have lost power, try to get somewhere it isn't so hot. Some things to keep in mind: if you are in an emergency situation, many people will be more accommodating to helping out than if you were going to Maui for a week. Twice I have had to ask people who I normally wouldn't ask to watch my pigs, but I asked them nearly as a last resort. I have someone who enjoys watching my guinea pig, so whenever I go out of town I drop him off there, and he feels right at home with the people there now, too. Keep extra food on hand. This is not always the easiest to do with fresh fruit and vegetables, but certainly can be done with hay and pellets. While not recommended, in a situation where you absolutely cannot get anything with Vitamin C in the house, your pig can make do for a couple days on the usual grains. Possibly freeze some fruit in the summer in case you can't leave the house during a blizzard. Let it thaw before feeding it to him. You may even want to grow some food in flower pots in your home if you are really concerned about a blizzard or other situation of being stranded. 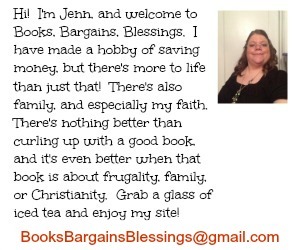 If possible keep a stocked guinea pig first aid kit on hand as well. 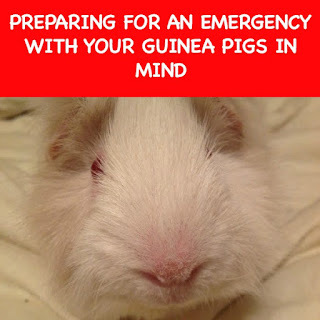 If you have to evacuate, when calling hotels, even if they say "no pets" they may make an exception for a guinea pig if you make the promise you will not let it out of the cage. It never hurts to ask. A hotel with a no pet policy made an exception for our guinea pigs during Hurricane Sandy. If you are evacuating from a hurricane, you might need to just stick your guinea pig in a small box. Less than ideal, but it might save the pig's life. Even if you get to a shelter or other secure location that doesn't allow pets, you likely would able to find someone on Facebook who is able to "foster" your guinea pig until you can return for it. I know we all love our furry friends, and I would rather my little guy be alive and with someone else than for him to die in an emergency situation. Ideally, you would be able to get your guinea pig back quickly, though. Guinea pig people are very kind. Plus there are a number of guinea pig rescues through the United States. I have no doubt any of them would be willing to help in an emergency, as I would most animal shelters. They may not be set up for guinea pigs, but I'd rather have my little guy alive in a less than ideal situation until I could get him back. This is a great idea from Metropolitan Guinea Pig Rescue. Just be sure and put your guinea pig in a carrier on the boogie board. The star of this video was probably thinking "Humans are crazy, but as long as there is a treat at the end, I'll do it!" Remember, an emergency situation is just that -- you may have to do things that under normal circumstances you wouldn't do, such as I did with putting my pigs in the smallest cage I owned which really isn't big enough for even one guinea pig. But it was temporary, and the end justified keeping them in that for about 48 hours. (It got to 40 degrees inside our house. My mother and I were shivering, but our guinea pigs were nice and warm.) The bottom line is to keep yourself and your pigs safe and healthy!